I occupied my time scratching black off white. 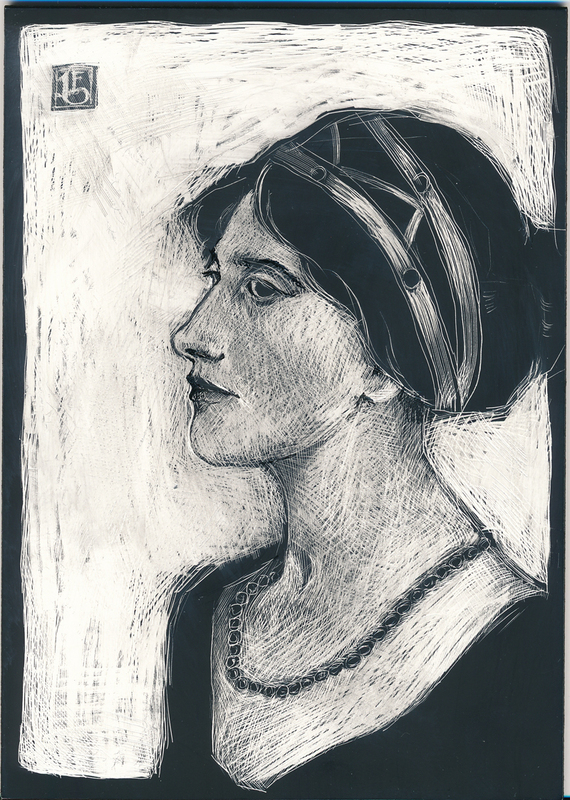 She was copied from a Waterhouse sketch. 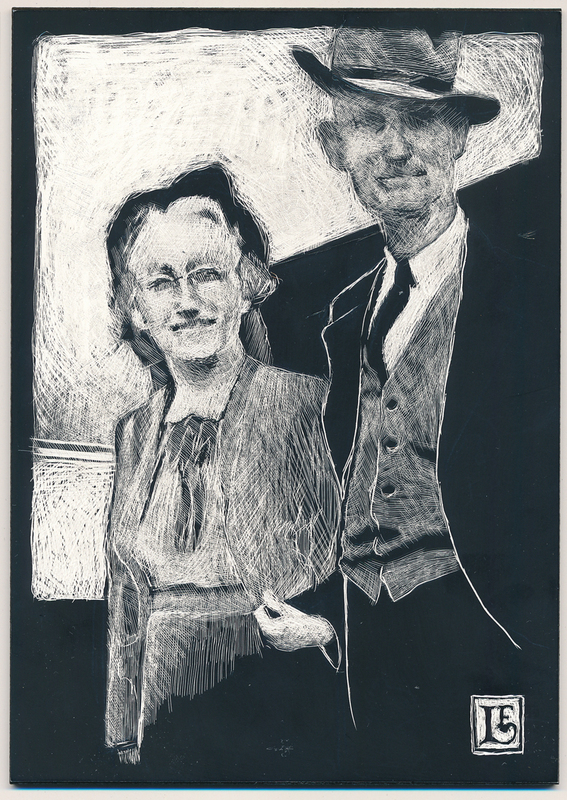 This was done from a photo of my grandparents, looking a bit like an urban American Gothic. This entry was posted on February 12, 2014 at 6:57 pm and is filed under drawing, portraits. You can follow any responses to this entry through the RSS 2.0 feed. You can leave a response, or trackback from your own site. Just fabulous! I have cleaned closets and done taxes! Camille, I should be doing that but too many people in the house! Are you in Mentone, Sue? I have family and dear friends who live in Menlo. My great grandfather was a carpenter who worked on the Mentone Hotel with the green roof! I love that area of the world! We didn’t get so much snow on the north west side of metro Atlanta. With 5 more inches, you’ll have another day to create!